Use a little Ray's to give your Arnold Palmer a real twist. Seeing as major beverage companies like Coca-Cola are preparing to get into the cannabis market, what better time to start looking for creative ways for pot enthusiasts to imbibe rather than simply toke? I asked Chaeliegh Baucom — a Spokane bartender, avid golfer and cannabis enthusiast — for a cocktail that plays with THC rather than alcohol. The preliminary concoction is "The Fore-Twenty." A nod to the refreshing Arnold Palmer, a drink named after the golfer, Baucom combined tasty carbonated lemonade with black tea, mint and lemon. Baucom started off with the base, Ray's Lemonade. Going with 75-milligram option, the THC-infused lemonade (available at many dispensaries throughout Spokane) comes with a measuring cup to properly dose the drink, equating roughly to a standard THC serving. "It's a great option because the weed taste is already minimal," Baucom says. "You have an open palette to work with." 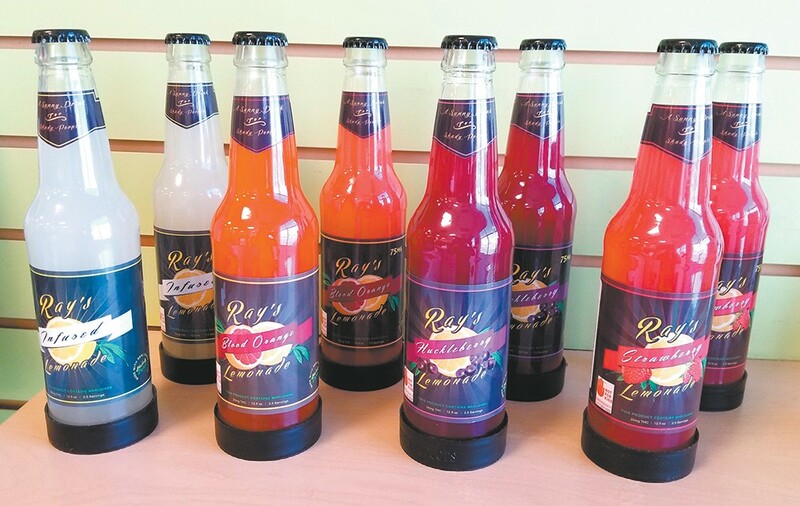 The lemonade brand offers several different flavors, including the traditional lemonade, blood orange, huckleberry and strawberry. She picked up a box of black tea, some sprigs of mint and one large lemon to make a couple of cocktails. "I just love the extra flavor that the mint adds to an Arnold Palmer," Baucom says. "It brings out some more flavor between the citrus and the woody and earthy notes of the tea." The original print version of this article was headlined "Drink It Up!"